This is our newest LED module with Samsung LED chip. 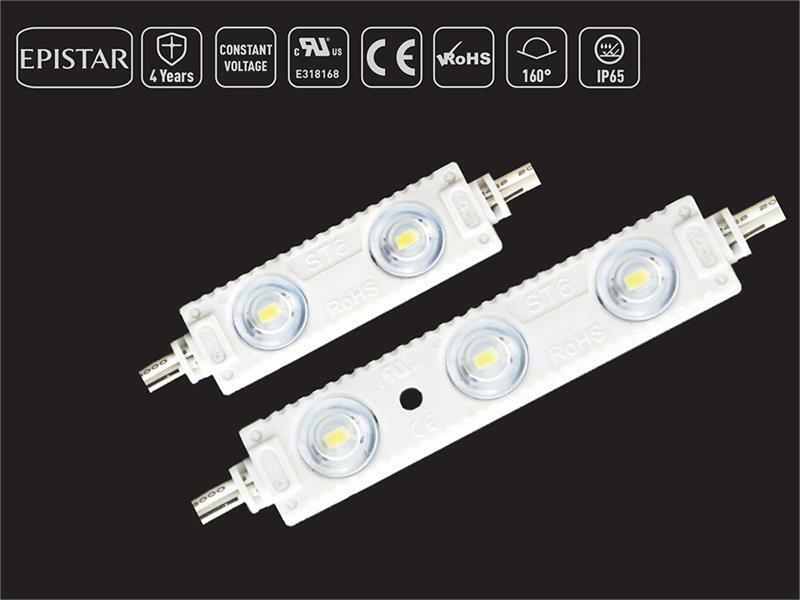 It uses the 5730SMD Original Epistar Chip which is 45 Lumens per LED so it is about 2 to 3 times the brightness of regular modules. These are 12V and ideal for sign lighting and back lighting. It also comes with a 5 year warranty.